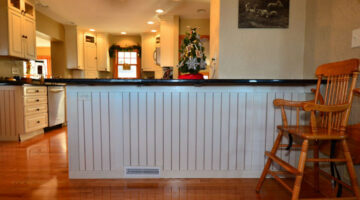 Wainscoting is the intricate wood paneling that covers the lower part of a wall. 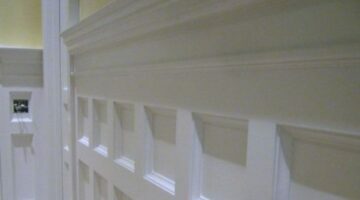 Wainscoting (including beadboard paneling and picture frame molding) is typically used in foyers, dining rooms, and hallways. Here, homeowners share step by step instructions to help you install wainscoting yourself. Installing beadboard paneling adds a timeless look and feel and it’s a project that can be completed in one weekend. I’ll show you how installing wainscoting really is a DIY project and have shared my step-by-step instructions. I’ve also included tons of before and after pictures to document the process.